On the route Plitvice Lakes - Zagreb nine buses drives every day. In comparison to more popular lines, this is a much smaller number of daily runs, but departures are fairly well distributed. Consequently, departure of buses are from 03:35 until 17:50 when the last bus that day moving from Plitvice to Zagreb. Prices of one-way tickets range from 69 HRK up to 87 HRK. The best offer is from Croatia Bus carrier and costs 69 HRK. The highest fare from Plitvice to Zagreb is 87 HRK. The distance between the Plitvice Lakes and Zagreb is 130.02 kilometers. Journey by this line means that you will travel by an old road and highway. Specifically, Karlovac is a city where you'll pass on from the highway to the old road. There is usually bus stops 10 to 15 minutes for rest to all, passengers and the driver. The duration trip from Plitvice to Zagreb is from 2 to 2.5 hours. As expected, any delays depend on the driver, timetable, and number of stops. But if it takes longer usually is caused by bad weather and crowds of the season. Issues related to the discount, news, discounts for certain groups and various notices ask a person at the Information Office at the bus station. Or, if it is necessary, contact the selected bus carrier. There is no bus station in Plitvice. Instead of that, there are two bus stops in Plitvice located next to the two different entrance to the National Park. Make sure that you leave the bus at the right bus stops. This depends on a planned route, or earlier booked hotels or other accommodation. Although Plitvice hasn't station, Plitvice Lakes have the wardrobe where you can leave your luggage, and it is located near the park. Among other facilities, Plitvice have coffee bars, restaurants, and shops. Some of them are located in the surrounding area and some are inside of the National Park. There you'll be able to buy something to eat and drink. A small note: prices are significantly higher than in other parts of the Croatia. Route Plitvice Lakes - Zagreb is debt approximately 130 km. The part of the route you'll drive by the old road and the other part by the highway. Depending on the route of the carrier, the driving speed, the length of downtime, weather and traffic the duration of your travel will take 2 to 2 and a half an hour. Rarely takes longer than that except during the tourist season when traffic is heavier. The fastest bus at this route leaves Plitvice at 17:00 and expected arriveal in Zagreb is 19:05. So, the trip takes 2 hours and 5 minutes with one stops. The slowest bus, on the other hand, is one that departs from Plitvice exactly 18 minutes later, i.e. at 17:18. With that bus, you'll arrive in Zagreb at 19:50. Total time spent on the road, in this case, is 2 hours and 32 minutes. The reason for the longer duration of the journey can be found in 13 stops by the road. That stops are mostly used for loading/unloading passengers. The bus station in Zagreb is situated in a very busy location, near the Avenue of Marin Drzic. You do not need to worry about transportation from the bus station to your accommodation. If you come in Zagreb during the day, Croatian capital offers a large number of bus and tram lines. If you reach Zagreb in late hour alternatives for rare night tram or bus lines is definitely a service Uber (taxi). Within the bus terminal in the surrounding area are the following facilities and services: shops, fast food facilities, bakeries, bars, ATMs, currency exchange office and post office. Also, as part of the station are counters for buying tickets, a waiting room, wardrobe for storing luggage, parking and toilets for which you will have to set aside 3 HRK. Information desk works 0-24, and you are free to contact them in the case of any questions related to your ticket. It is useful to note that the bus and train stations are close. Specifically, there are separated only by three tram stops so if you need Railways do not go too far from the center. Buses from Plitvice - Zagreb offer fast and efficient transport at a good price in the modern buses (air conditioning, TV, Wi-Fi). Compared to the most other routes this is a quite specific. Thus plane and train are not the options. Namely, in the nearby, the National Park aren’t any airport. The closest is the one in Zagreb and Zadar. Railways were once in operation, but since this is not the case and this is the failed option also. It remains only a personal or rented car or bus. In relation to the transport by car, it is important to know that you can go the main road and thus avoid paying the toll for the highway. However, this will extend the time of your traveling. If you select to travel the highway add the fuel prices together with a toll to your final amount. The amount of toll varies according to the output that you choose. For example, the output of Karlovac, you’ll pay 11 HRK, and for Gospic 50 HRK. So in comparison with the bus, this is not the best solution, especially if traveling only one or two persons and there is not significant cost sharing. For these reasons, the bus is an ideal choice. On the way to the metropolis from Plitvice bus passes these places: Rakovica, Slunj, Donje Taboriste, Niksic, Pavlovac, Veljun, Tocak, Zagorje - Lika, Budacka Rijeka, Krnjak, Tusilovic, Cerovac Vukmanicki and Karlovac. This is a total of 13 stations where the bus stops, starting at 17:18, and is the slowest on the route. Rakovica is a village located in the central part of Croatia, and since it seems to be on the south side leaning on Lika this area is often called Lika. Driving further we come to Slunj. Slunj was mentioned in the 12th century and is situated on the banks of Slunjcica and Korana. Special attention is paid to the nearby Rastoke, aka "the Plitvice lakes in miniature". This beautiful aquatic wonder of nature is undoubtedly worth visiting. Finally, through a series of small towns and cities, you are in Karlovac. Those who have already traveled from Zagreb to the Adriatic and vice versa, are used that buses stop here. However, Karlovac is more than famous bus stops and crossing of important traffic routes. Karlovac is rich with beautiful parks and even more beautiful rivers, four of them, Dobra, Korana, Kupa, and Mreznica. Kupa and Mreznica are especially known for its numerous swimming areas. Plitvice Lakes were declared a National Park in 1949. In addition, UNESCO recognized their beauty and included them on its List of World Heritage Sites in 1979. 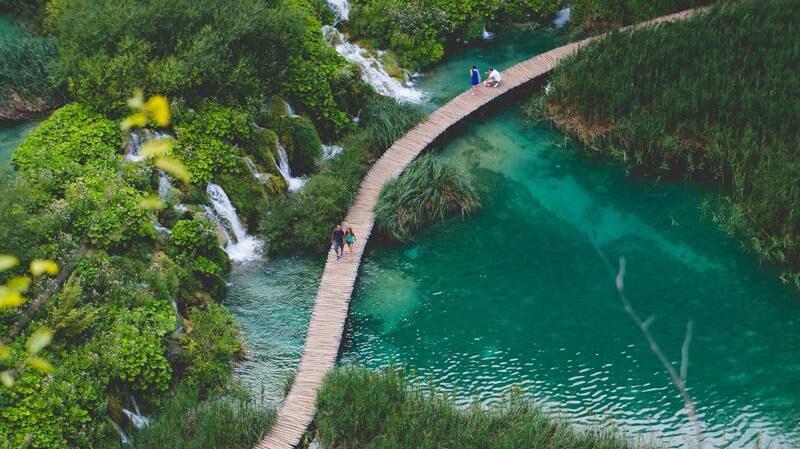 Speaking of the Plitvice Lakes, we are talking about the largest and most visited Croatian National Park. It contains a total of 16 lakes, which are part of the Dinaric karst area. Twelve lakes belong to the Upper Lakes from where the water in cascades and waterfalls spilling into other four Lower Lakes. A special feature of Plitvice is that as part of them is the largest waterfall in Croatia. We talk about 78 m high Great Waterfall. Except for the beautiful water areas, this National Park boasts equally beautiful green scenery and forests inhabited by the largest predators in Europe - wolf, lynx and brown bear. Plitvice Lakes are worth to visit regardless the season since each of them expresses the beauty of the National Park in their own way. After all, you don't have often a chance to see winter frozen lakes and waterfalls. Although it does not change the beauty of the park either summer or winter, it changing only the price of admission. If you plan to visit Plitvice Lakes in winter, you'll pay to enter into National Park only 55 HRK, in spring and autumn price rises to 110 HRK, and in July and August input costs to 180 HRK. 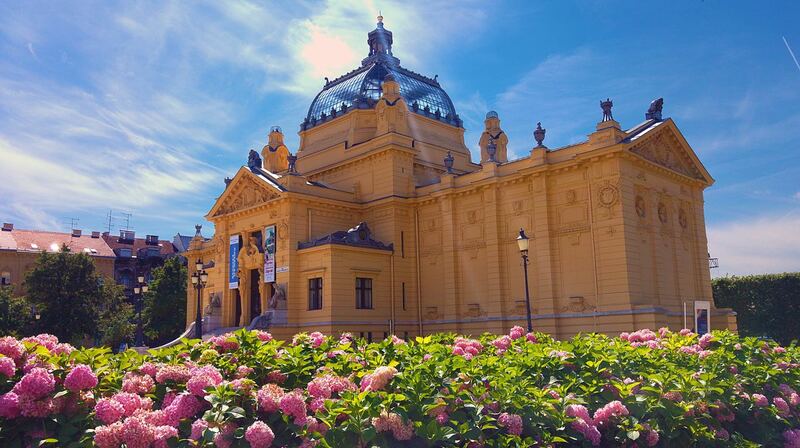 Zagreb is the cultural, economic, commercial and political center of the Croatia. Moreover, in recent years is the growing tourist destination in Croatia. Good transport connections ensure that the transport from one part of the city to another is in very short and reasonable duration. Of course, this could be because of its fairly modest size. If you have a day or two to enjoy in Zagreb definitely visit the Church of St. Mark and Ban Jelacic Square, parks Ribnjak and Maksimir and lakes Bundek and Jarun. Visit of these sites is free. Tram or bus ticket is only that you pay for a tour of Zagreb. With tram or bus for 30-45 min of driving you'll be back into the center from any part of the Zagreb. Since the citizens of Zagreb often goes by public transportation if you using it you'll experience the city and its inhabitants better than to rent a car. The rest of the money save for lunch, coffee, interesting events, and performances or city souvenir - e.g. Licitar heart. Tour guides, especially for those resourceful, are not necessary. If you are looking for accommodation you should look on the website or inquire at hotels/hostels. 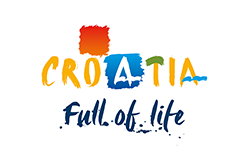 If you wish to continue your journey and discover more of natural beauty and attractions in Croatia you can find lots of beautiful locations at sea such as Opatija, Rovinj, Pula, Pag (Novalja), Split, Trogir, Pula, Sibenik, Zadar, Makarska, and Dubrovnik. Split, Zadar, and Dubrovnik should be mentioned as a kind of the center of Dalmatia, i.e. the cities where circulates lots of tourists and passengers, and where the fun is guaranteed. If you decide to travel there it is good to know that each of these locations is accessible by bus. 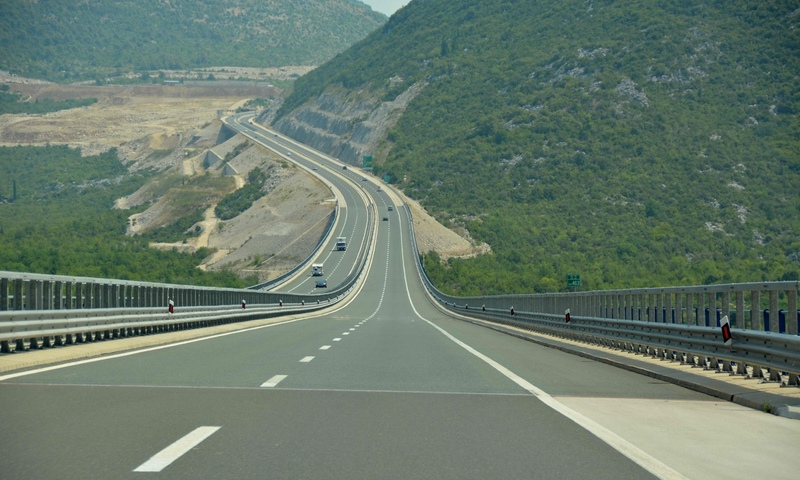 If you wish to continue your travel in some other countries close to Croatia it is good to know that near Croatia are the destinations such as Sarajevo, Mostar (Bosnia and Herzegovina), Belgrade, Podgorica (Montenegro), Ljubljana (Slovenia), Trieste, Venice (Italy) and Budapest (Hungary). After all, if you decide to return from Zagreb to Plitvice Lakes we recommend you to be patient and visit them during other seasons and be a witness of the completely new edition of this popular National Park.